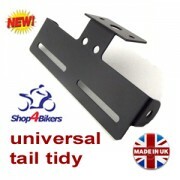 Shop4bikers.co.uk - Shop4bikers offers an extensive range of products for the rider, pillion and rider. Motorcycle accessories and diecast models. Unlike other websites Shop4bikers is run by a motorcyclist and understand what motorcyclist's need! Quality branded products Affordable prices. Quick delivery and a returns policy. Shop4bikers is run by Securit GB Ltd Products can be bought and viewed at nationwide motorcycle shows Live for the moment treat yourself & your wheels!